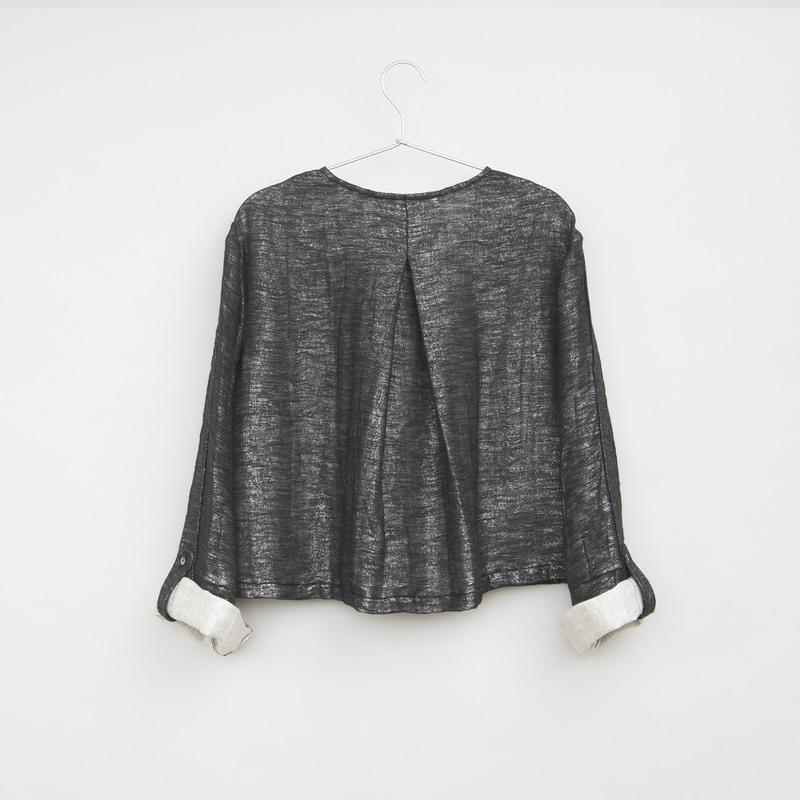 Cut from special triple-layer black and white cotton with silver middle layer for lustre, extremely soft handle. 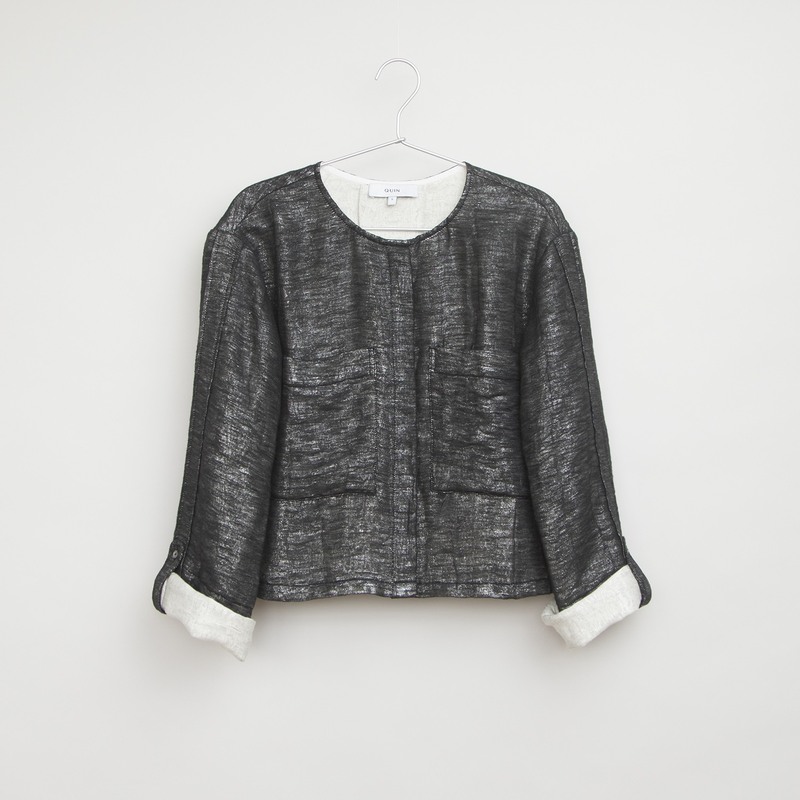 This piece resembles a jacket blouse with hidden placket, long wide sleeve with tab for a contrasting roll-up feature. Wear it open as a “shacket” with simple tee underneath or on its own as a cute boxy blouse, perfect to pair with high-waisted trousers! - Loose fitting. - Buttons fastening at front hidden placket. - Model is 175cm and is wearing size S.
Care: Machine wash cold gentle with like colours.